Yes, I know, this is a very banal strategy but it actually works. 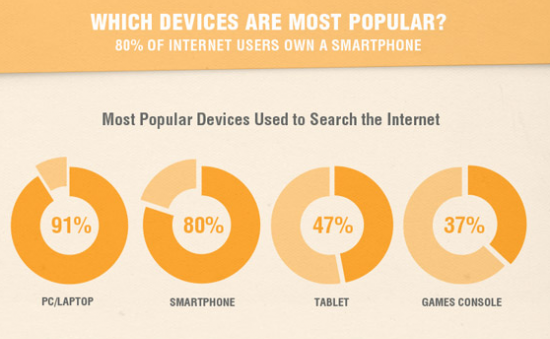 Most people nowadays possess smart devices and use them a lot to search the Internet. As you can see from Smart Insights infographic below produced for their Mobile Marketing Statistics 2015 report, the percentage of people accessing websites from their smart phones is almost the same as those using PC/laptops to browse the web. That is why it is crucial that you implement mobile traffic optimization for your website. If you want your brand to be successful and recognisable and to appear on top of the search results, you need a mobile-responsive website. I keep saying in all my posts that social media is an integral part of every aspect of today’s business world; it should be part of crisis comms, internal comms, external comms, marketing & PR etc. And of course it should be part of your SEO strategy as well. Social media gives you platform to get yourself noticed, so make sure you do so by setting up your profiles on as many social channels as you can (these need to be in line with the nature of your business). But as you can imagine, setting up profiles is simply not enough. You need to create presence, build a network and engage with it. It takes time and consistency, but at the end it pays off very well. For more social media marketing tools, check my guide. Nothing can boost traffic like fresh content, and search engines love that. What you need to do is start posting articles, press releases or company news on your site, but in my opinion, having a blog section is the best traffic booster in terms of content. But if you want this strategy to work, you need to do it on a regular basis; publishing content at least two times a week is a good start. This SEO strategy also gives you the opportunity to embed key words that will rank you higher in the search results, so make sure you do your homework properly. Key words on blogging work the same way as hashtags on Twitter. You just need to research which are the most popular key phrases/words people are talking/posting about that are relevant to your piece of content, and just use them. As I mentioned above, you need to do your homework properly, if you want to achieve the desired results and even exceed them. It is extremely important in terms of SEO, how you structure your key phrases/words and how you position them on the web. The so called long tail SEO can do a great job in increasing your traffic and selling your products/services. Long tail key words are normally 4-7-word long phrases that describe very specifically your piece of content (70% of Google search terms are long tail). They can be very useful as they are unique, which means you might be the only one using a key phrase structured this way. Therefore, if your customers search for this articular phrase, guess who will show up first on the search? Yes, you! However, to achieve that you need to do a very good research on what your customers are looking for. You can use help from research tools such as Wordtracker. SEO and PR are an unexpectedly good combination. Public relations is about building relationship with your various audiences and now, with the help of social media, that is much easier. You can start interacting with key influencers and people who are likely to share your links. Guest blogging could be a really good way to achieve that. Also sharing your targeted influencers’ content and actively engaging with them, might result in them following you and sharing your content back. The more you appear on the web, the higher you rank on searches. LinkedIn is another great platform for publishing your content and increasing your traffic. You can start by writing LinkedIn posts, which of course need to redirect to your website, engaging in LinkedIn conversations, joining relevant LinkedIn groups and so on. Traditional PR could also be very helpful. If you manage to build relationships with journalists, there is no better way to get publicity and boost your traffic. The SEO industry is very broad and sometimes unpredictable; what works for one could be a disaster for another. Everything is error and trial. However, what I can say for sure is success lies in the balance, so whatever you do always try to find the golden mean and you will never be wrong. 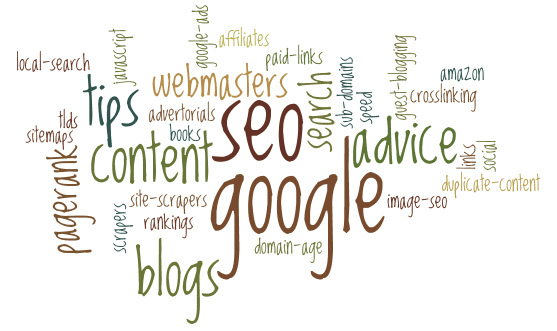 This entry was posted in Social Media and tagged long tail key phrases, long tail key words, long tail SEO, Marketing, mobile devices, mobile marketing statistics 2015, search engine optimization, SEO, smart devices, smartphones, Social Media, successful SEO strategies, they, top 5 SEO strategies. Bookmark the permalink.